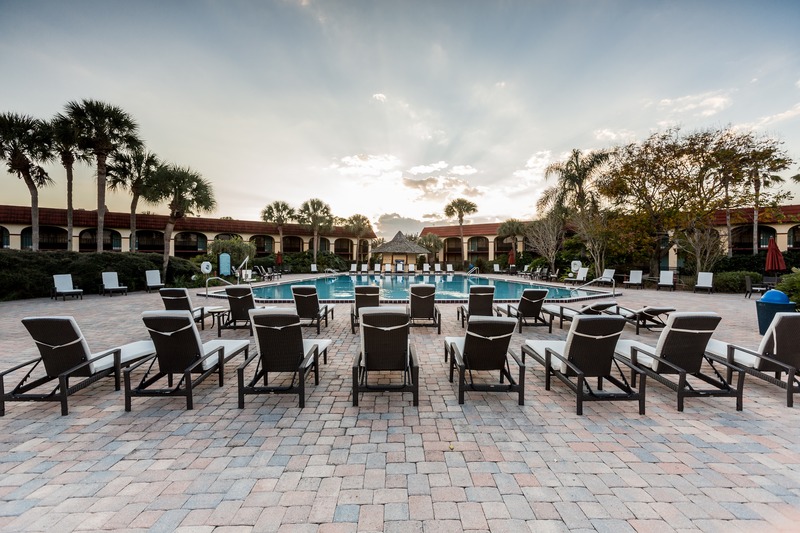 Our vacation resort in Kissimmee, FL provides 3,200 square feet of flexible event space that can be adjusted to host any of a number of events, including wedding, family reunions, birthday parties, church retreats, or meetings. Our beautiful lakefront Gazebo is a brides dream. A perfect setting for weddings venue. Each Orlando banquet hall is outfitted with plenty of electrical outlets and telephone jacks, an integrated PA system and a video screen. The experienced and friendly event staff at our hotel will work to make sure every last detail is taken care of in the weeks, days and hours leading up to your meeting or event. Our sales manager and catering manager will work hands-on from the date of booking, working closely with the client in all phases of planning, including catering and equipment setup. Start planning your Kissimmee / Orlando event or meeting today! View floorplans and capacity charts for our Orlando event space.